Private Country Contemporary! Escape To This Charming Home, With An Open Floor Plan, Cathedral Ceilings, Farm Styled Kitchen, Belgium Balterio Floors, Woodstove, Three Bedrooms, 2 Full Baths, Including A Spacious Master Suite. The 3rd Bedroom Has A Uniquely Designed Ship&apos;s Staircase! Enjoy Outdoor Dining On Your Covered Porch W/ Ceiling Fans, Prep Station & BBQ Grill To Entertain Family And Friends. 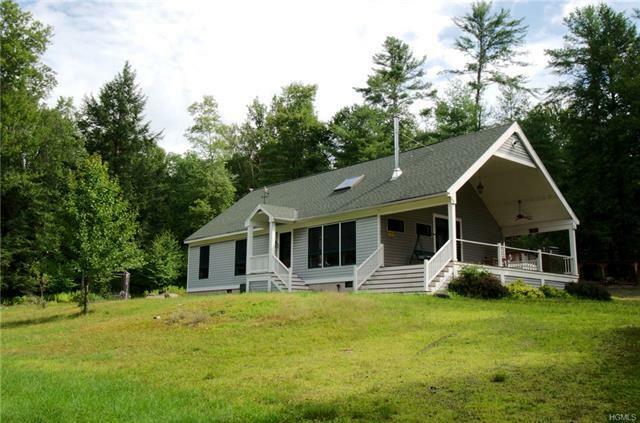 Situated On 13+ Acres With Lake Rights To Weiden Lake.